Come enjoy the beautiful view that this villa offers over the green areas of Casa Linda and the ocean out there. No villas on your sides offer you a great privacy for a wonderful relaxed stay! Both bedrooms and Living room has Televisions, Safe in both bedrooms. Shaded Patio for BBQ days. Private bathroom for both bedrooms and one shared for guests! Coming into this villa you are greeted by this amazing view few can compete with. 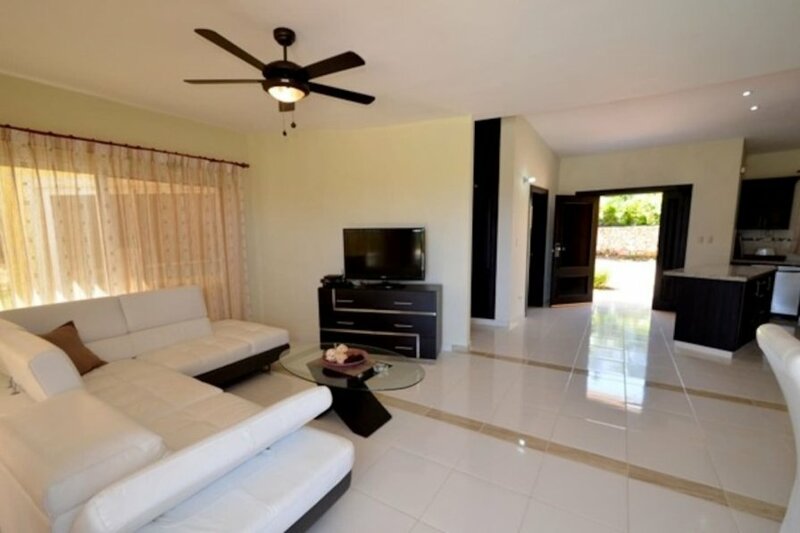 Enjoy this freshly styled villa fitted with televisions in all bedrooms and great BBQ are for friends or family. Rates includes full Villa cleaning services upon check-out and make up of rooms during your stay.